They definitely took their approach 'Old School' and made their focus on peace and harmony. GREENBRIER, Ark. (KTHV) – And the law enforcement lip-sync challenge videos just keep rolling in for Arkansas. This time, it’s the Greenbrier Police Department. They definitely took their approach ‘Old School’ and made their focus on peace and harmony. The department sang, “Come On, Get Happy!” performed by The Partridge Family circa 1971. The video includes Chief Gene Earnhart, Lt. Rick Woody, Lucas Emberton, Tim Woody, and John Ed Hendricks. 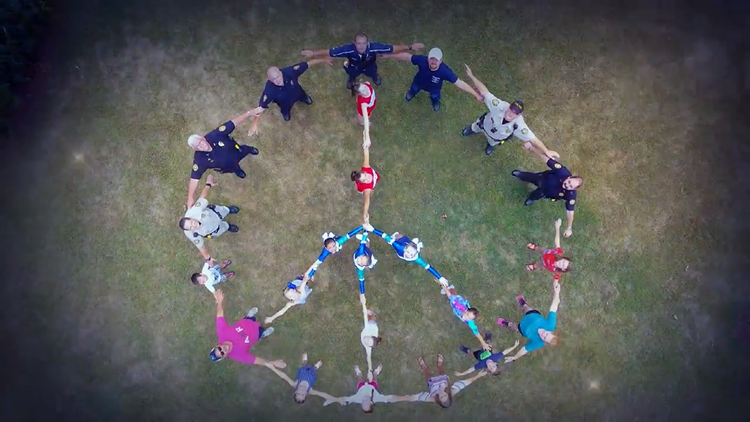 Kim Slaughter and The Blue Focus Marketing group were so moved by the other lip-sync challenge videos that they wanted to be a part of it, and so did Greenbrier police. They also had help from Sharpe Videography, the Greenbrier Fire Department, and the Greenbrier Dance Academy. Tumblers included Lexi Kennedy, Ava Harrison, Elle Ponson, Piper Cordell, and Kennedie Behel. The Greenbrier Police Department is challenging the Vilonia Police Department! Good luck, guys!